FC Barcelona and Real Madrid drew (1-1) in the first leg of the Copa del Rey semifinals. Los Blancos started very well and could harm the rival in the first half, but the Blaugranas reacted in the second half to get the net. Solari’s team showed a great image, backing the last good month of competition. The final of the tournament is closer. Solari only introduced one new piece in his line-up, including Marcos Llorente instead of Casemiro. 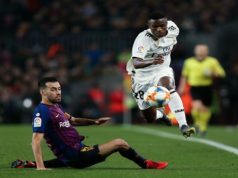 Vinicius and Lucas Vázquez started in the attacking line, leaving Bale on the bench, a decision that was proven to be correct during the match. Leo Messi stayed also on the bench after his physical problems. 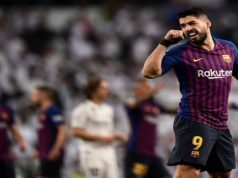 Los Blancos wanted to prove their improvement in the last part of the season after the tough defeat in La Liga, when Lopetegui was fired. And they started really well, combining with danger and the first goal arrived very early. Lucas Vázquez tapped a great assist from Karim Benzema. Vinicius started the play, but it wasn’t his only appearance. 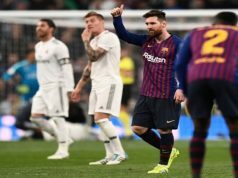 It was the first El Clásico for the Brazilian and he tried and tried several times, sometimes accurately and sometimes wrong. However, he is growing and growing. Real Madrid had more chances in the first half and could open a wider gap in the scoreboard but the attacking line wasn’t very precise in the last metres. 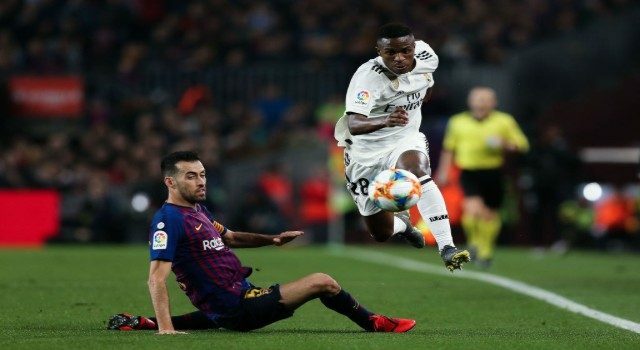 In the defensive line, only Marcelo had some problems with Malcom, the best Blaugrana in the pitch. And the Brazilian was the one to draw the game in the second half after post hit by Luis Suárez. In the last 30 minutes of the clash, there was space for Leo Messi and Gareth Bale. The Welshman has the most clear chance in the second half for Los Blancos but he was very slow. Also Keylor Navas did his job tonight, saving some clear chances from Luis Suárez. At the end it was a draw, that can be positive for Solari’s team because the group is improving in every game.